Metallurgy, a term you may or may not have heard before, plays a key role in your every day life. Metallurgy is defined as the domain of materials science and engineering that studies the physical and chemical behavior of metallic elements, their inter-metallic compounds, and their mixtures also known as alloys. You might be asking yourself how does that play a role in my everyday life? Well, the concept of metallurgy is applied to produce metal objects such as your car, your homes structure, and even your cell phone. However, the idea of manipulating various metals to have better and different qualities is not new. In fact, people have used metallurgy in numerous industries for thousands of years. The concept of metallurgy has been used for thousands of years. The first recorded form of metallurgy dates back to 40,000 BC. Gold, in native form, appears to be the first metal used by humans. Silver, copper, tin, and meteoric iron can also be found around the same time. These metals were all found in native forms which allowed for limited amounts of metal working in initial applications. They were often used for various weapons and daggers during this era. Certain metals such as tin, lead, and copper can extracted from their ores when melted at high temperature. This process is known as smelting. 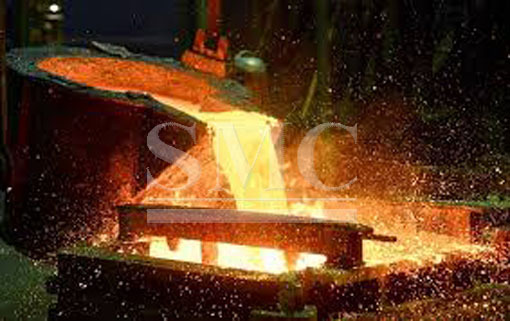 The first recorded evidence of smelting dates back to the fifth and sixth millennia BC. The next advancement in metallurgy was the production of bronze. Starting around 3500 BC copper and tin began being combined to form an alloy known today as bronze. This advancement led to the technological shift in society during that time period, known as the Bronze Age. Following the Bronze Age, is the Iron Age starting about 1200 BC. The Iron Age is a period of time when iron became the main metal used in the production of metal products. The process of extracting iron from its ore is much more difficult than copper or tin. This innovation is key for the advancements of many of the cultures and civilizations around the globe. Many applications, practices, and devices associated with metallurgy were developed in China. Such innovations include the blast furnace, cast iron, and acting piston bellows. Today the most commonly engineered metals are aluminum, chromium, copper, iron, magnesium, nickel, titanium, and zinc. The most common alloys used are based on the iron-carbon alloy system. This system includes various forms of steels and cast irons used in hundreds of applications due to their low cost and strength. Metallurgy has played an important role in society for centuries, and still continues to do so today.